Tooth sealants also known as pit and fissure sealants or dental sealants are one of the most commonly used materials to prevent the occurrence of the dental caries in teeth. They have proved their abilities since years to prevent dental caries once they are applied in proper amount on the teeth. Tooth sealants are recommended in cases of history of dental caries, poor plaque control, enamel defects as well as in case the patient is being given orthodontic appliances. Patients with enamel defects such as enamel hypoplasia are also recommended to get tooth sealants done. Parents should ensure that they take their children to the dentist for regular check-ups to ensure that the teeth of the children are monitored well. This isquite simple to apply so it is less time consuming for the dentist. Even the children do not get bored or distract the dentist during the procedure. It is a preventive procedure which is of great benefit for most of the children as well as for adults who are at high risk of having dental caries. The tooth sealantprocedureor the pit and fissure sealants ensure that the biting surfaces of the teeth of the patients are taken good care with the help of the tooth sealants. 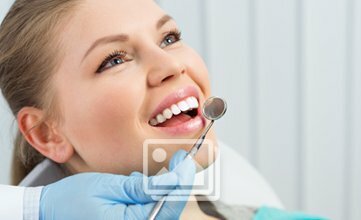 The best part is that the tooth sealants procedure is totally pain free which provides a great relief to the patients. In this way, the teeth are prevented from the dental caries and damage from the acidic foods. Thisprocedure keeps the teeth caries free for a long period of time. If required, you can get the procedure done after some months which leads to the continuous care of the teeth thus preventing the patients from having dental caries throughout the life. Thus, tooth sealants are of great benefit for the patients as a prevention from dental caries.